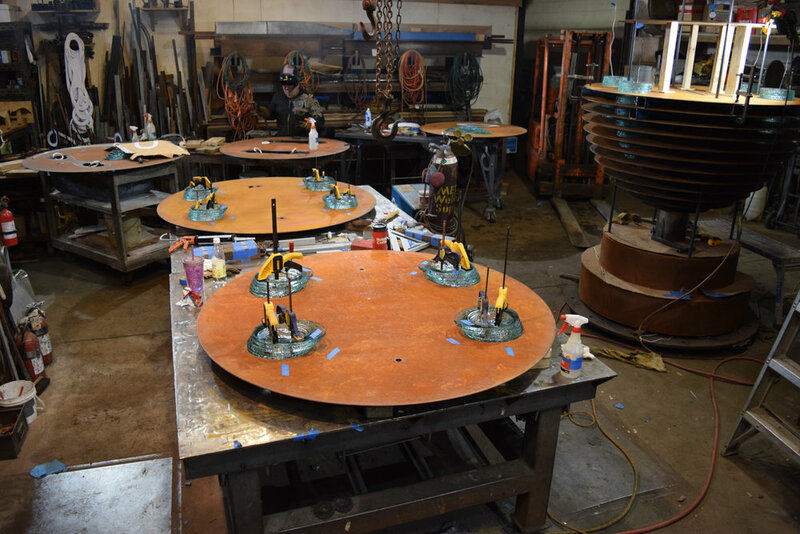 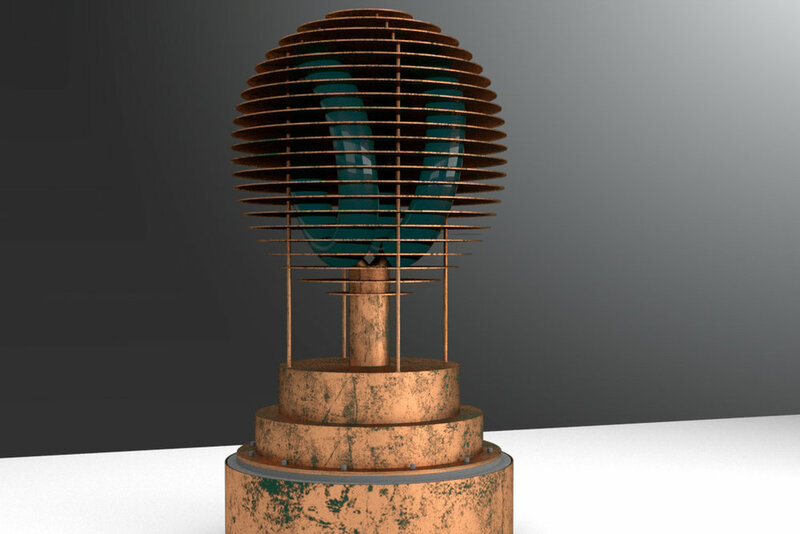 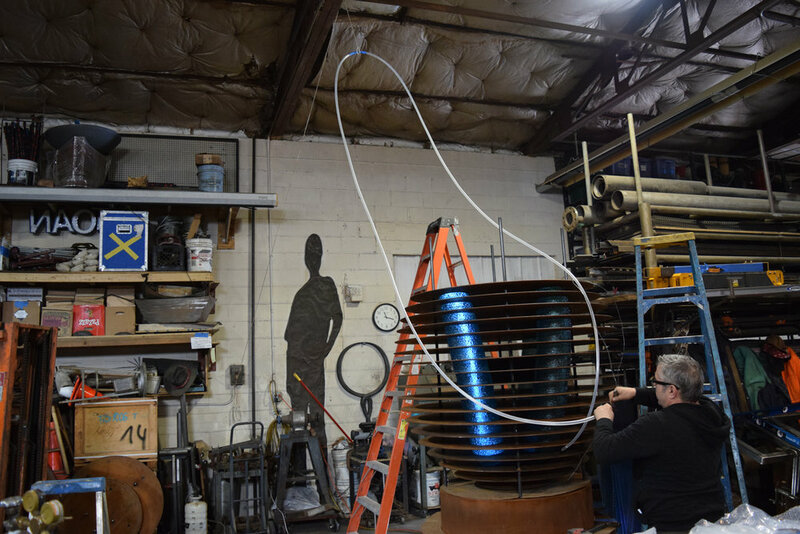 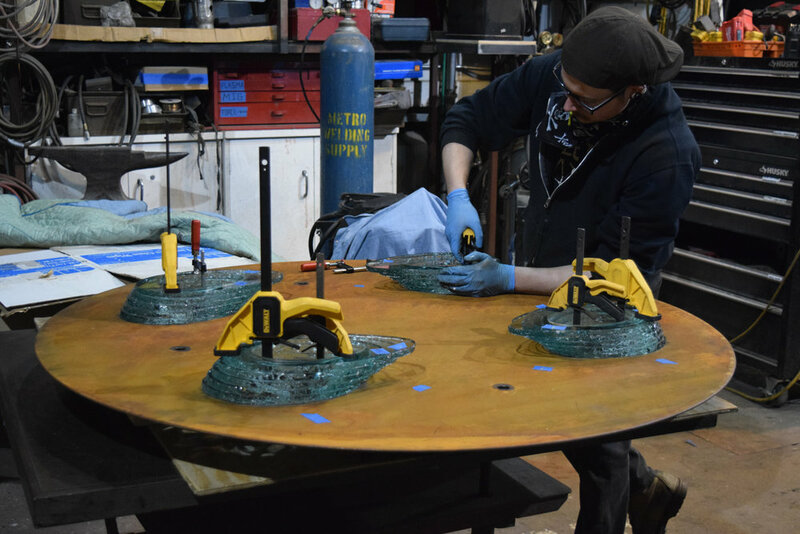 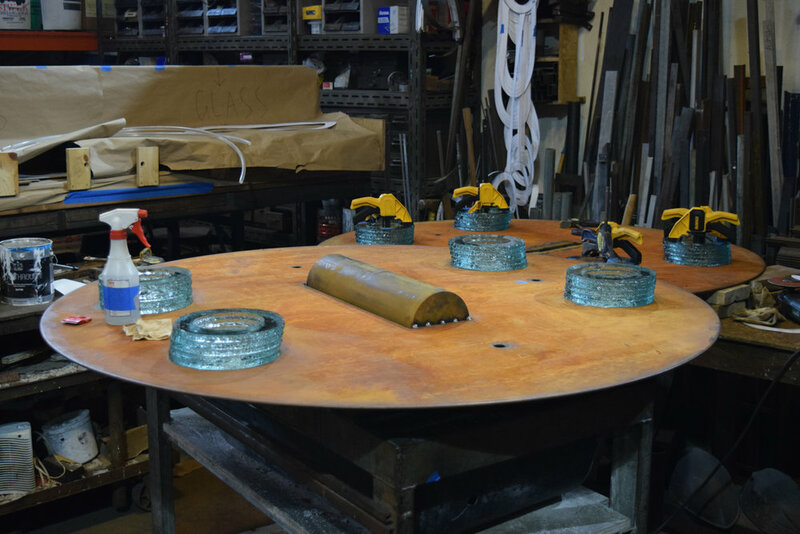 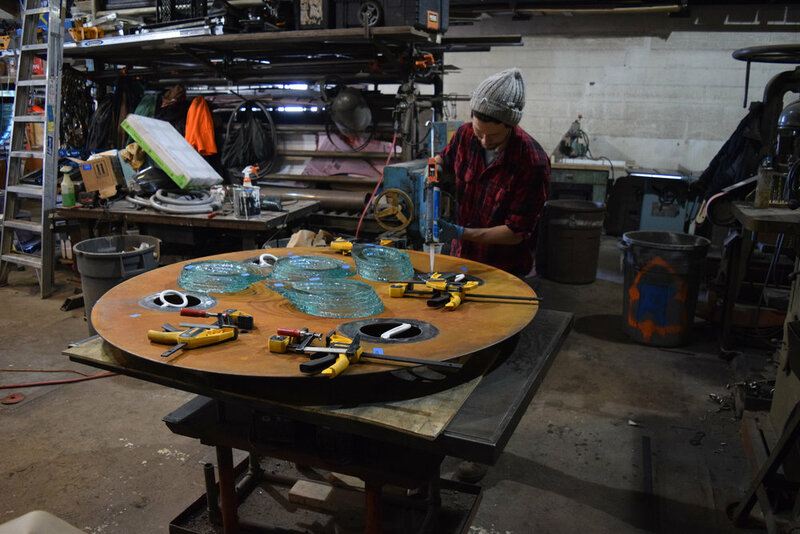 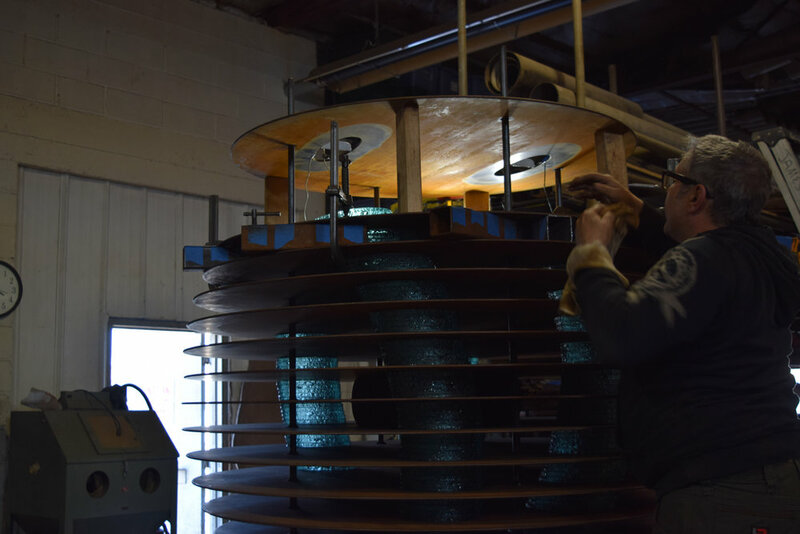 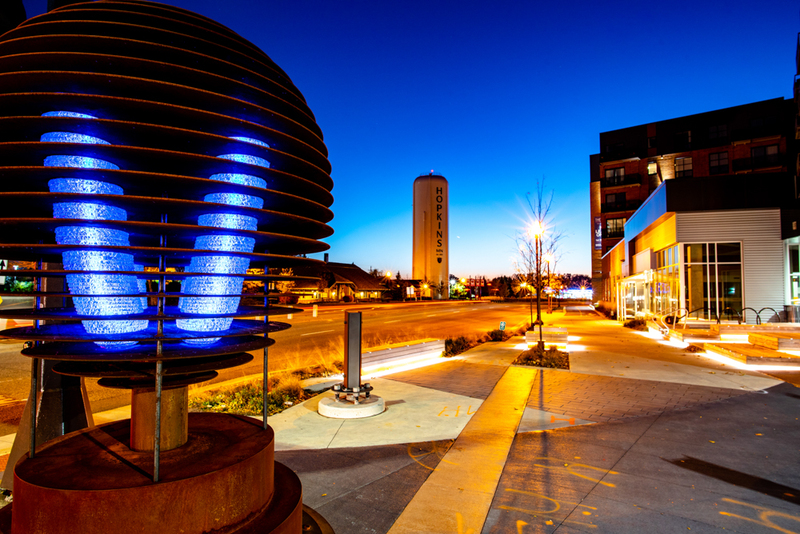 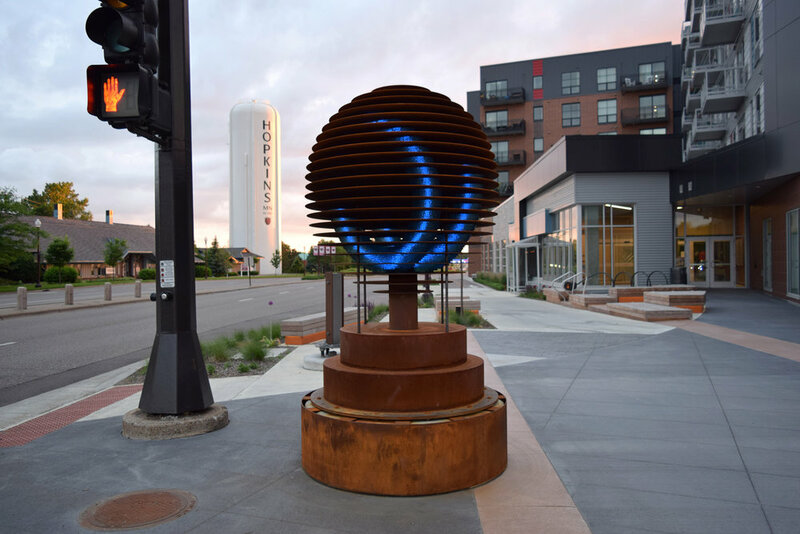 Fabricated with Cor-ten all weathering steel, sculpted green jade float glass, and programmable fiber optic lighting, the Moline sculpture anchors Hopkin’s 8th Avenue ARTery. 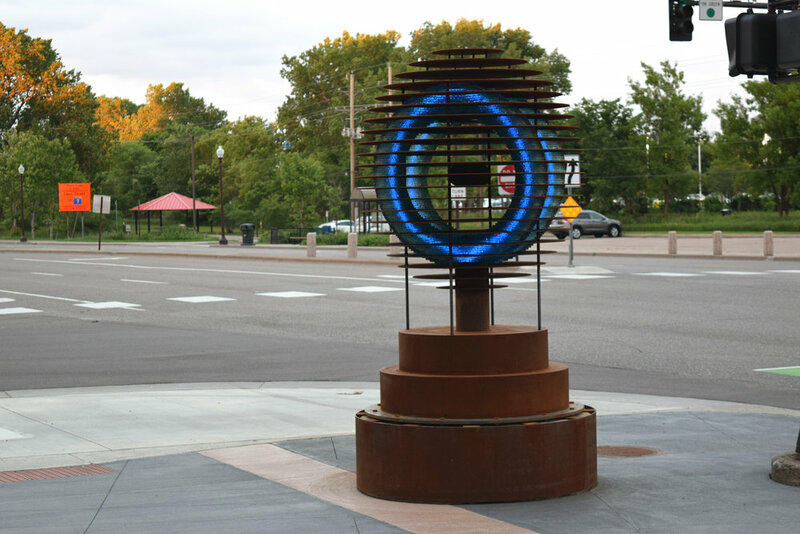 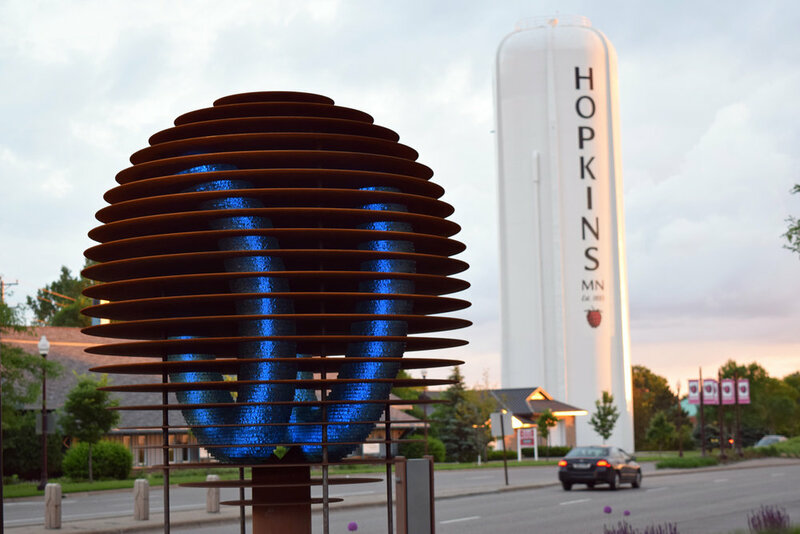 Designed with a nod to the local history of Hopkins, the Moline sculpture subtlety references the Minneapolis Threshing Machine Company (later called Minneapolis Moline) that started the town in 1887. 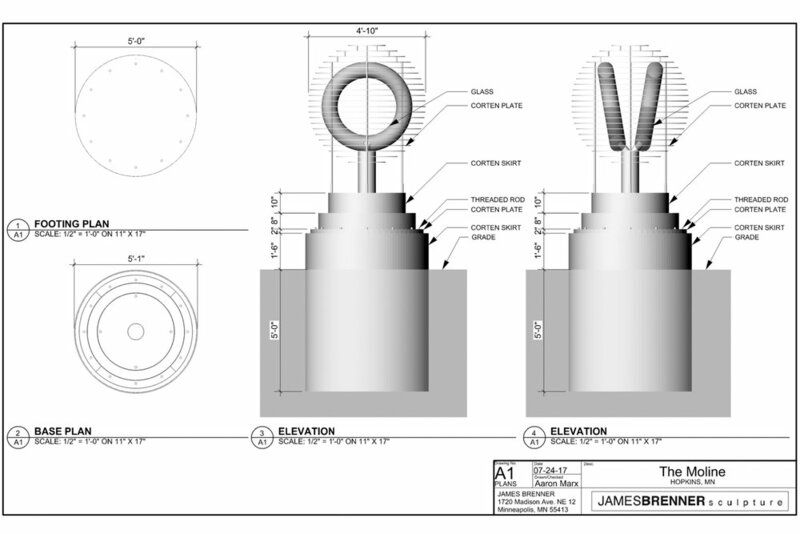 The front narrow tires on the Minneapolis Moline tractor are angled to help with steering in the field. 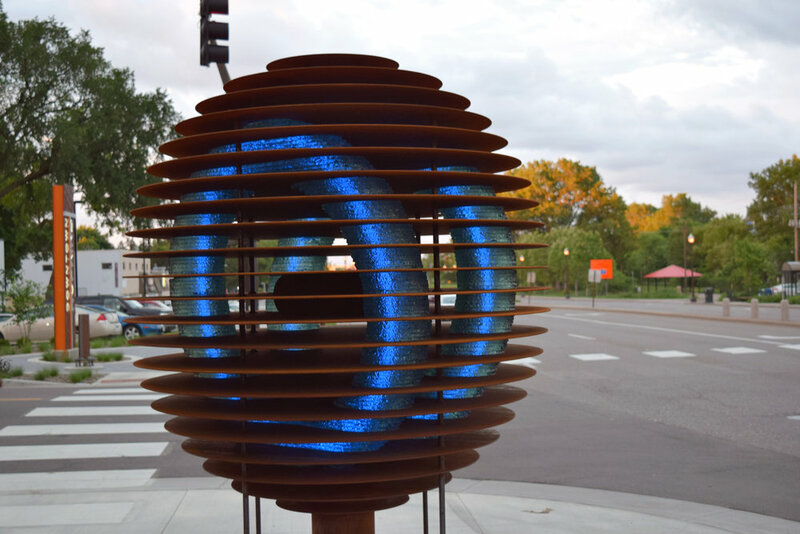 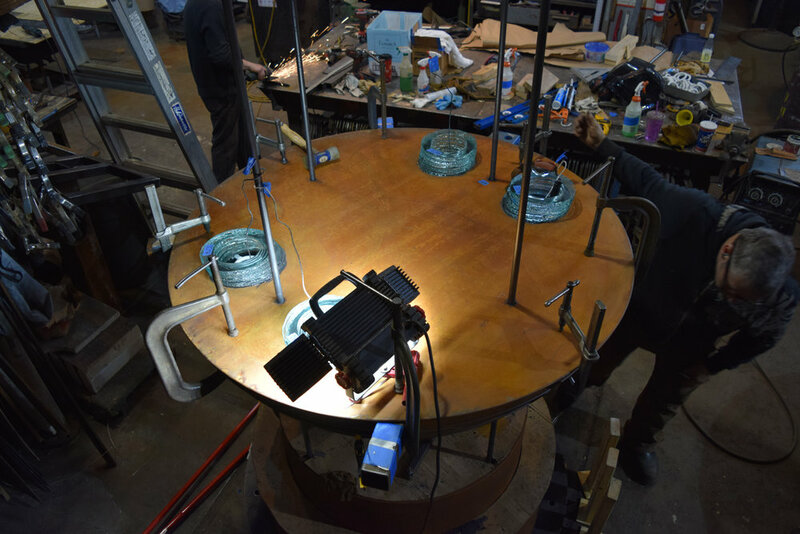 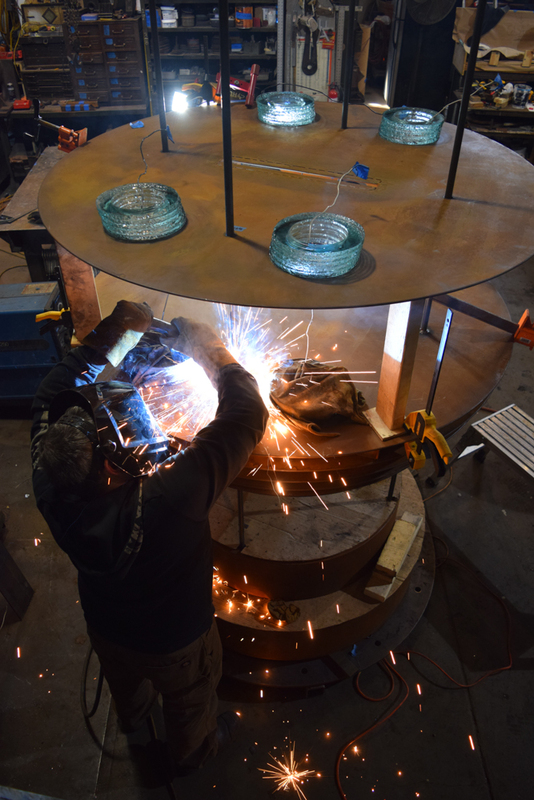 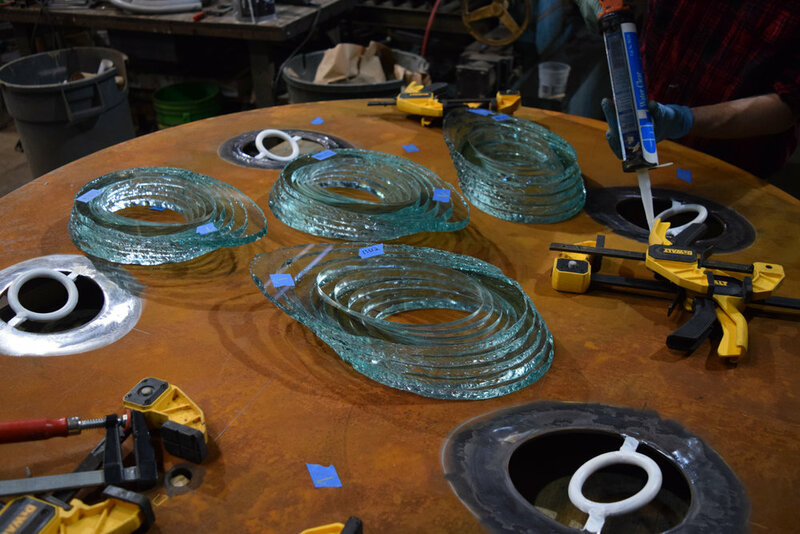 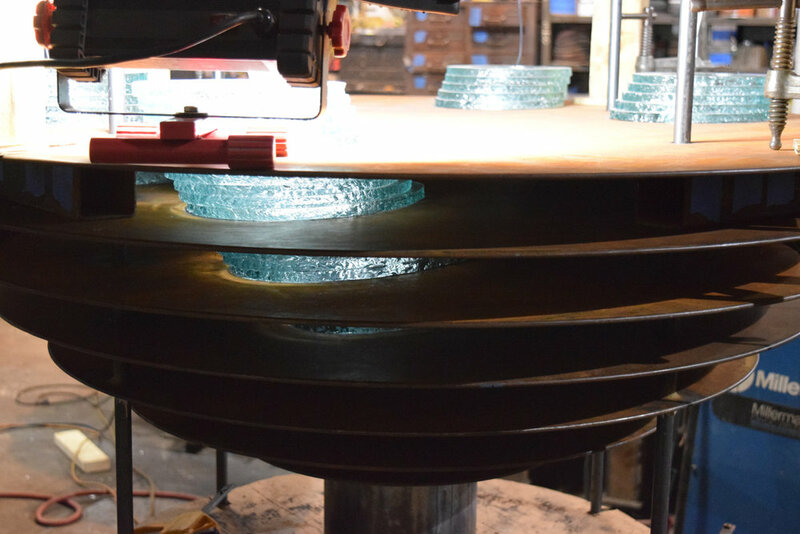 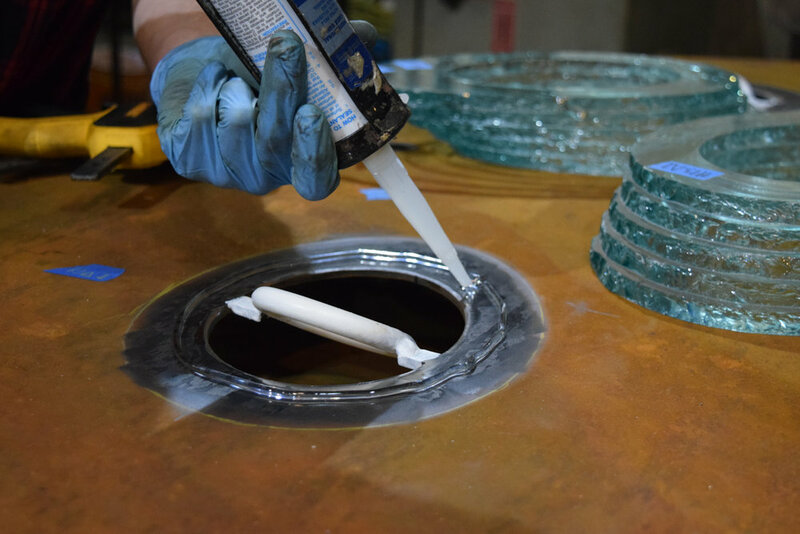 This element is reflected within the Moline sculpture through sculpted glass forms that are lit with fiber optic light. 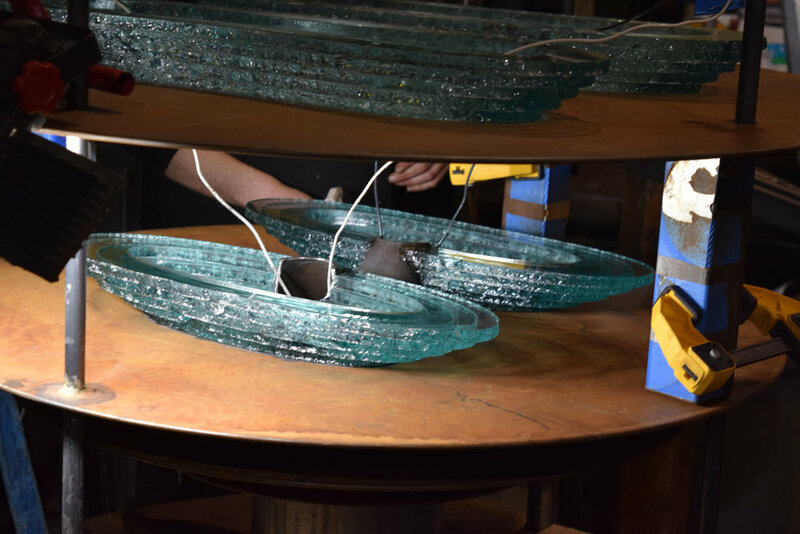 Depending on the viewpoint, the glass wheel structure transforms from a set of circles to two angled lines and back again. 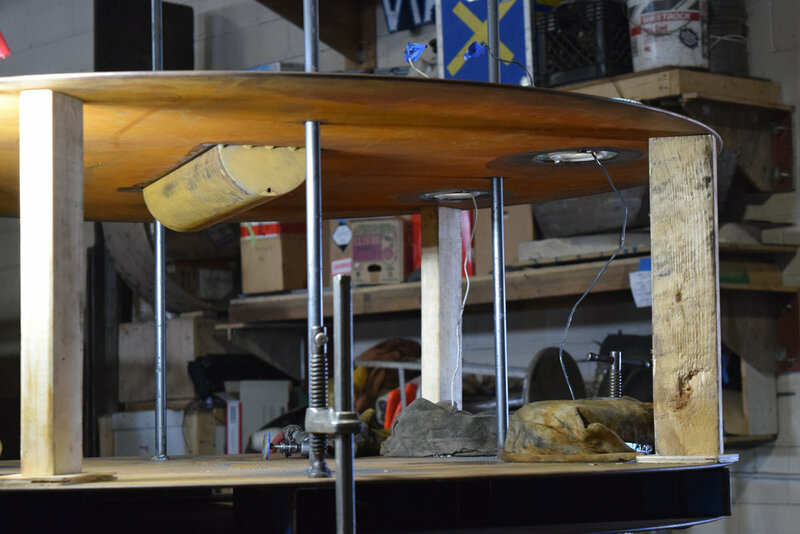 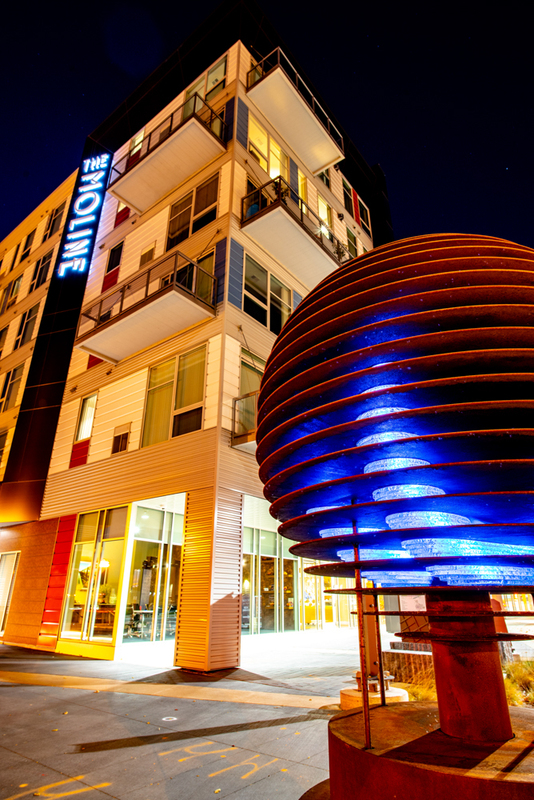 The Moline sculpture explores the relationship between internal and external forms. 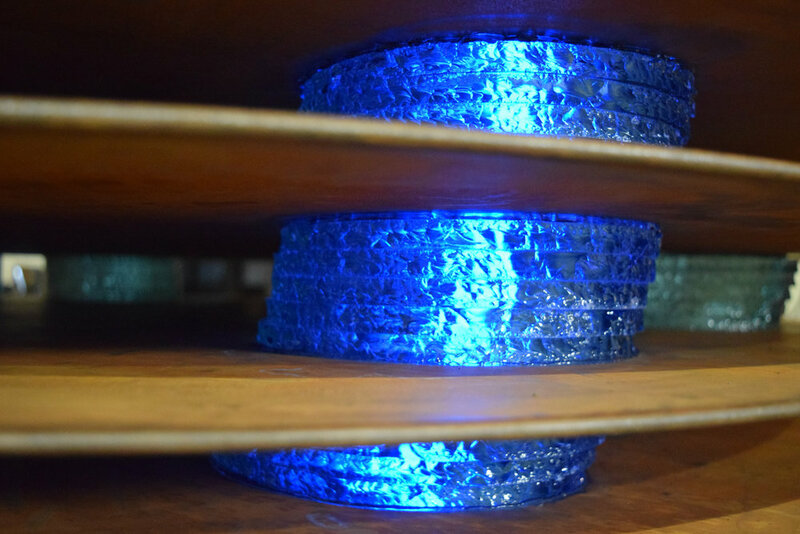 Up close, the external mass dominates. 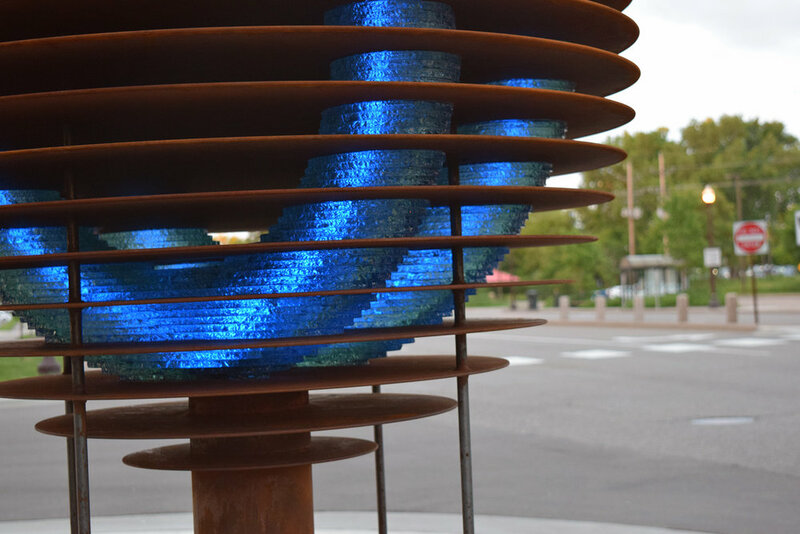 The ordered, rhythmic layers of steel express the protective armor of the exterior. 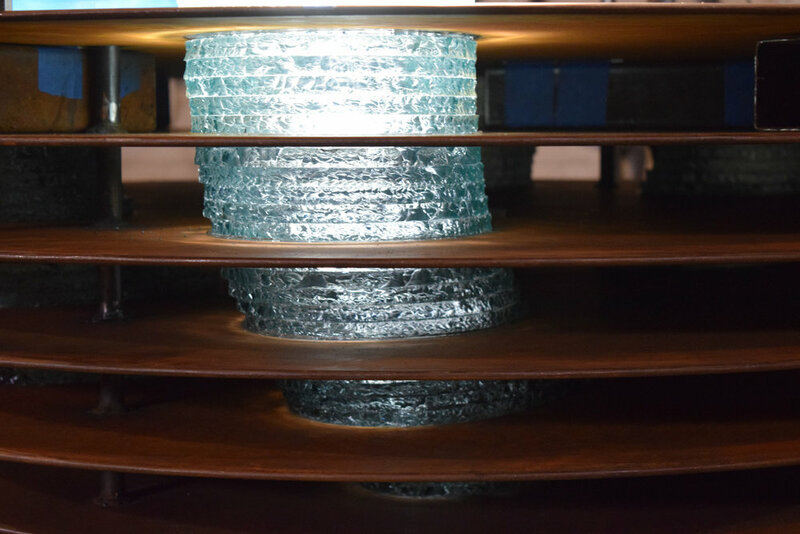 The internal glass forms illuminated with light are revealed to their full potential at a distance. 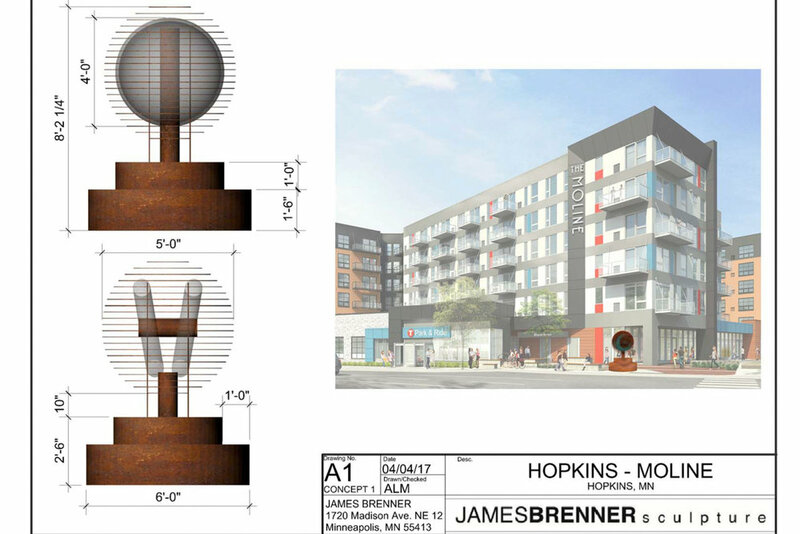 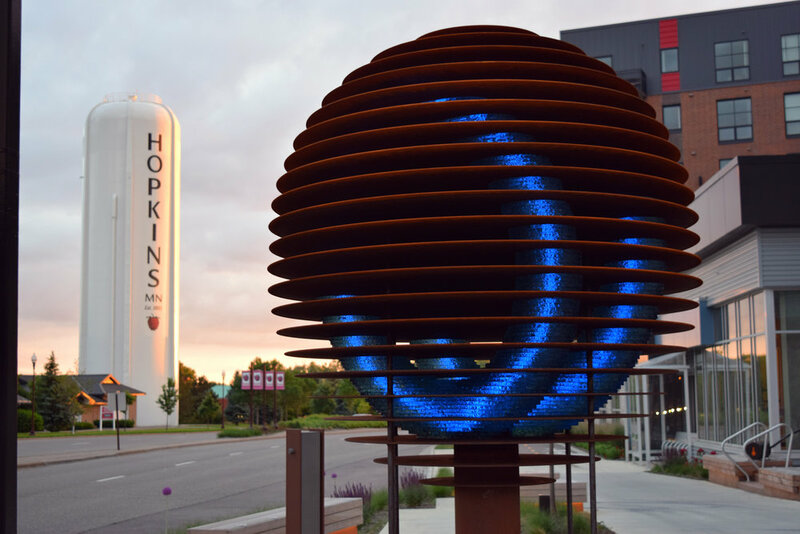 While the diverse and dynamic community of the surrounding Hopkins area is changing and growing, the Moline sculpture suggests stability in the midst of it all. 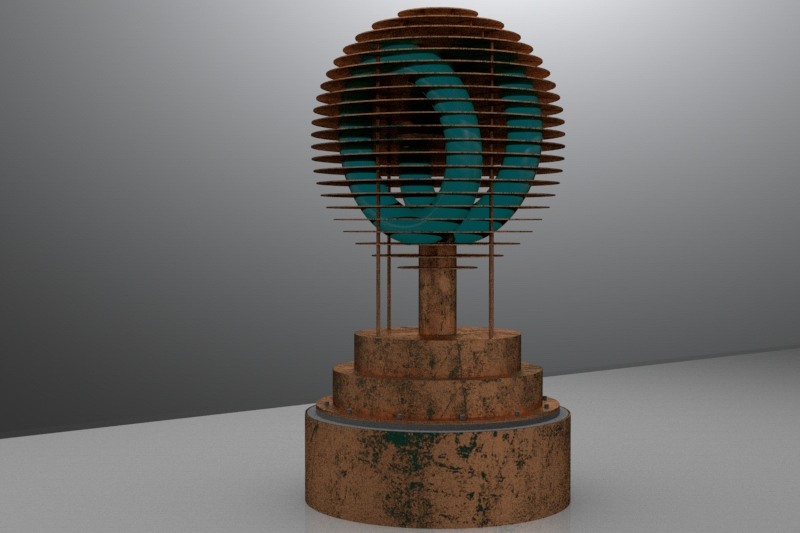 Elements of metamorphosis, growth and constant evolving contributed to the inspiration of this piece.